Our recent camping and birding adventure that took us along the remote Duncan Road saw us stopping at the Negri River for an extended period. Having explored the Behn River area we travelled 70kms on and made ourselves at home on the riverbank of the Negri River in the shade. 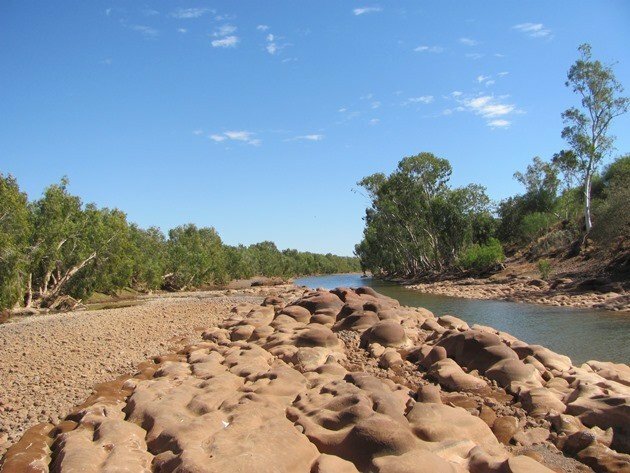 The Negri River starts in the Northern Territory and flows into Western Australia and it then merges with the Ord River and flows into Lake Argyle. 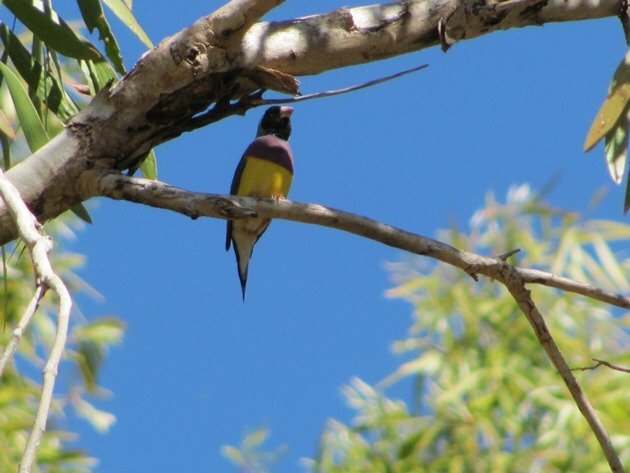 When you travel along the Duncan Road you travel back and forth between Western Australia and the Northern Territory and the birds that we saw in the area of the causeway that crosses the Negri River were mostly to the west of the road. 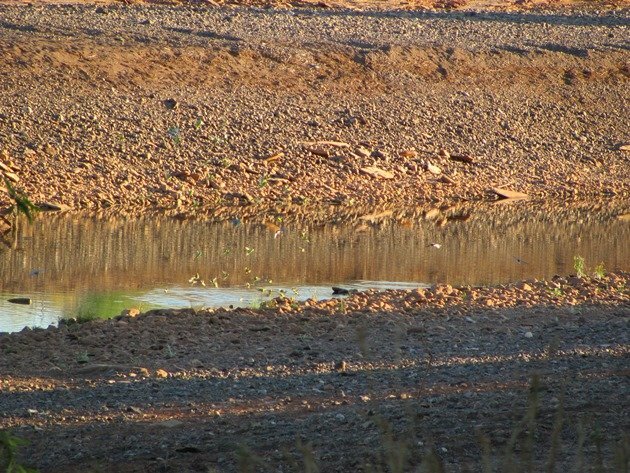 There were more freshwater crocodiles in the Northern Territory, but that was pure coincidence due to the level of water remaining in the pools to the east of the causeway! The Negri River was still flowing, but not over the causeway and offered great birding due to the lack of water everywhere except at this water source. 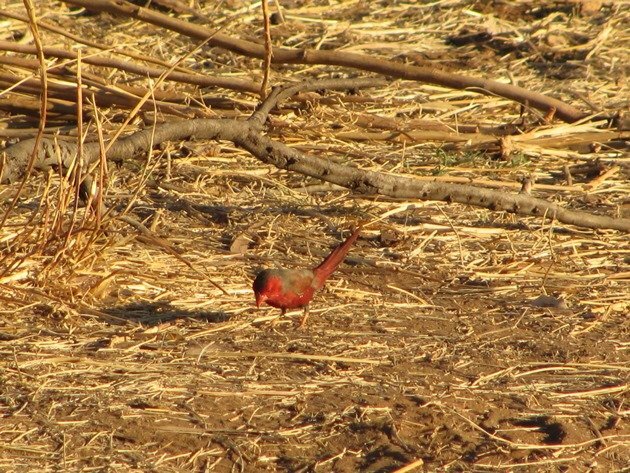 On pulling up in the shade mid-morning we soon heard the sound of Crimson Finch and they were busy feeding all around us. They were even investigating an old fire pit, which was interesting to observe. 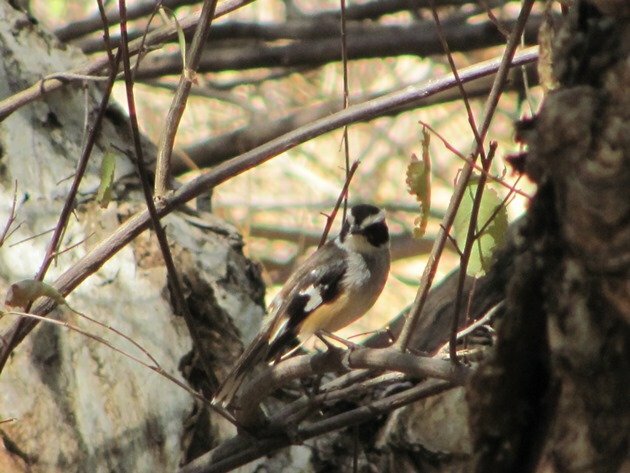 They were the first of many of the finch family that we would observe along the Negri River. It didn’t take us long to set off to go exploring to see what the area could offer and we were soon writing down a huge variety of species. 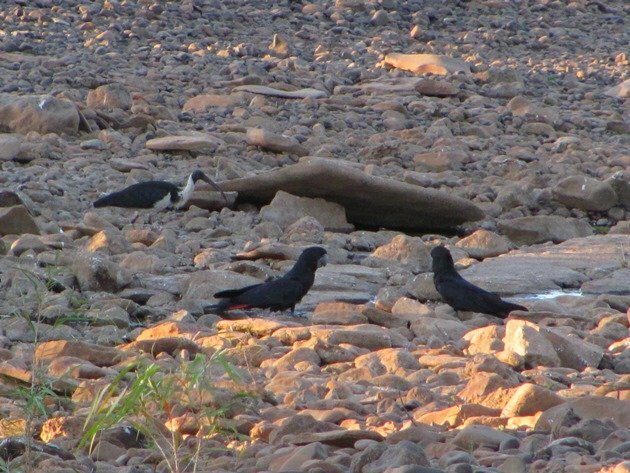 We were able to walk down the riverbed itself and then view the bird-life all around on both sides of the river as it came down to drink. Even winter in the north of Australia offers day-time temperatures around 32c (90f), so you need to be prepared with ample water and swimming was not advisable with the large number of freshwater crocodiles. 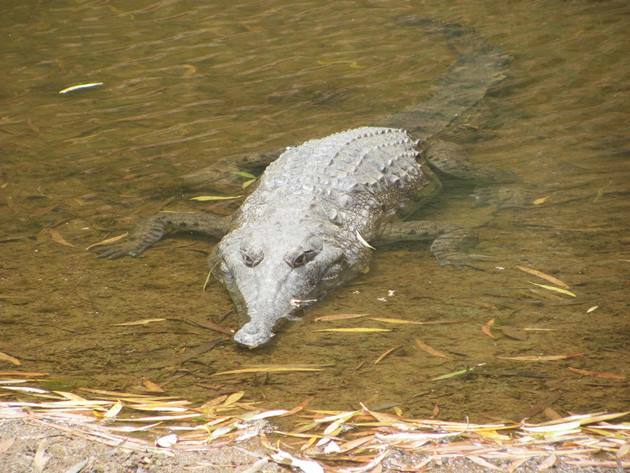 Although less dangerous than saltwater crocodiles they can easily be over two metres long and it is just not worth the risk, because people have been injured in the past. There were lone individuals of some species, like the Australian White Ibis, Straw-necked Ibis, Eastern Great Egret, Intermediate Egret, White-necked Heron, White-faced Heron, Nankeen Night-Heron, Australasian Darter, Little Pied Cormorant and Little Black Cormorant. They had all made a stop at the remaining pools as they travelled across our wide and dry landscape. There were three pairs of Radjah Shelduck and a pair of Grey Teal. Birds of prey were constantly flying overhead and whenever you have a shadow fall over you in the bush you immediately look up! The largest bird being a Wedge-tailed Eagle, followed by Black Kites, Whistling Kites, a pair of Little Eagle, Nankeen Kestrel and Brown Goshawk. 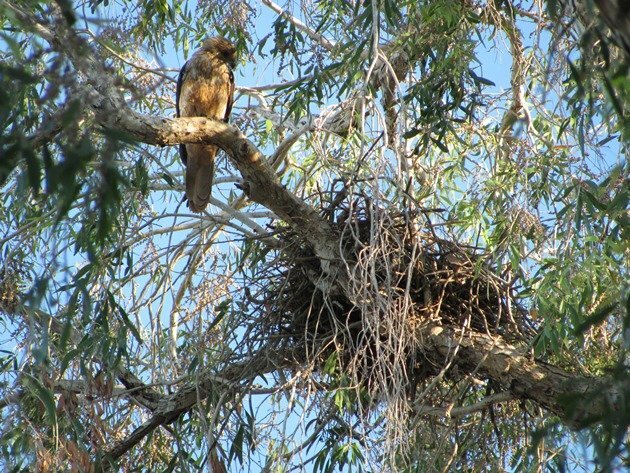 We discovered later in the day that the nest in the tree above our vehicle was in fact occupied by a nesting Whistling Kite. 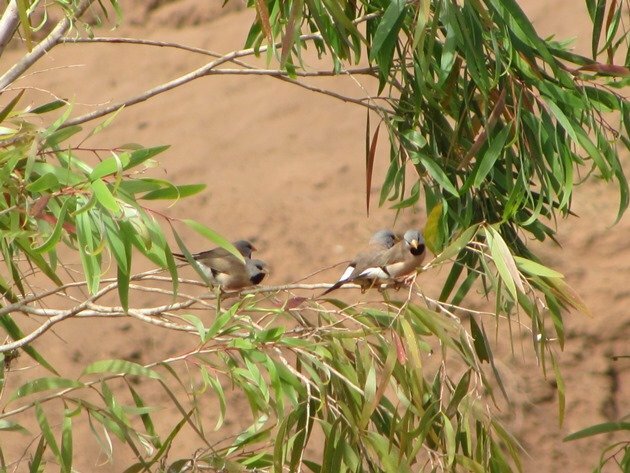 Wandering down the riverbed we observed Peaceful Doves and then the delightful Spinifex Pigeons. There are two species of Spinifex Pigeons in Western Australia and the race ferrugines, which inhabits the Pilbara has a brown chest. In this area of Australia the Spinifex Pigeon race plumifera has a white chest, but they are so heavily camouflaged they can be very hard to photograph in the red rocky outcrops along the river. There are actually five Spinifex Pigeons near the water-note the white bands across their chests! 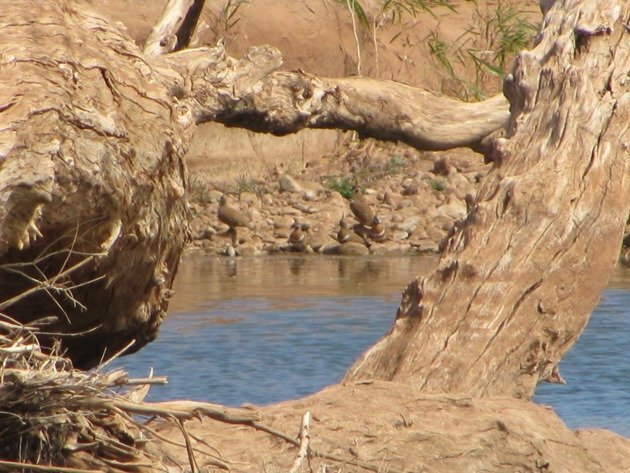 The variety of finches increased as we wandered down the riverbed, because as the day got hotter they needed to come down to drink. They cautiously flew to nearby trees and then dropped down to drink. 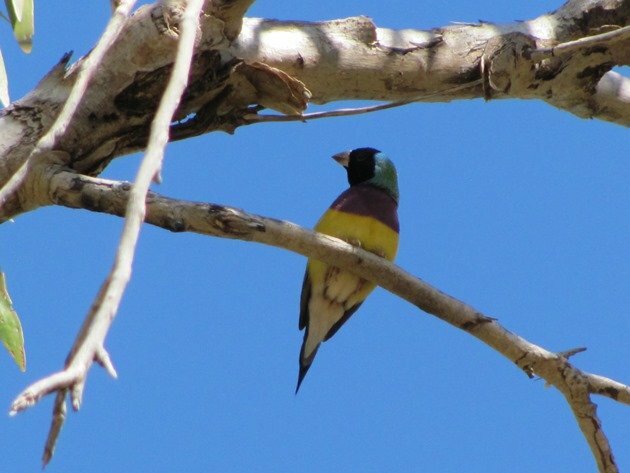 Double-barred Finch, Masked Finch, Long-tailed Finch, Zebra Finch and the delightful Gouldian Finch all came down to drink. All of the finch species were in good numbers and undisturbed by our presence. The silence was often broken by the sound of Little Corella, Sulphur-crested Cockatoos, Galahs, Red-tailed Black Cockatoos, Cockatiels, Budgerigars and our 302nd bird of the year in the form of Varied Lorikeets. All of the birds would appear noisily across the sky and then come down to drink. 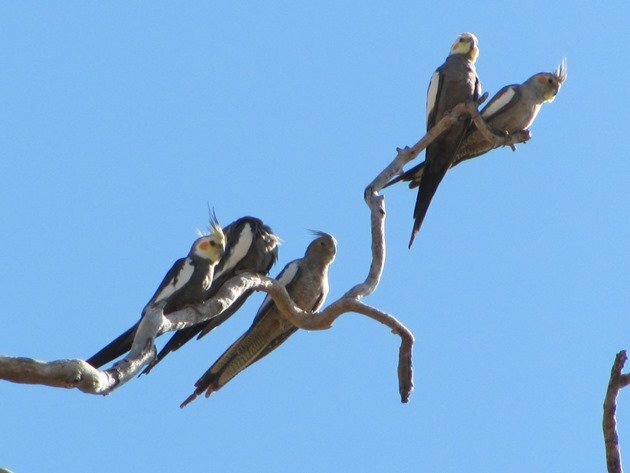 The Cockatiels would perch high up in the trees and offer good photo opportunities across a blue sky. 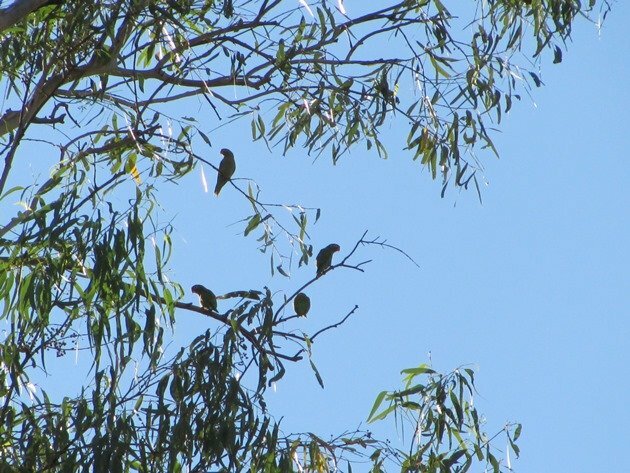 The Varied Lorikeets blended in well with the green trees, but the biggest challenge was the Budgerigars. Budgerigars are extremely cautious when it comes to drinking and only spend the minimum time swooping down to dip on the edge of the water. Budgerigars-the tiny green spots over the water! Walking through the trees along the edge of the river we encountered a huge variety of honeyeaters and it included White-gaped Honeyeater, Brown Honeyeater, Yellow-tinted Honeyeater, Rufous-throated Honeyeater, Little Friarbird, Silver-crowned Friarbird, Yellow-throated Miner, Grey-fronted Honeyeater and Banded Honeyeater. Also present were Magpie-larks, Mistletoebirds, White-winged Trillers, Willie Wagtails, Australian Magpie, Black-faced Cuckoo-shrike, Striated Pardalote, Red-browed Pardalote, Red-backed Fairywren, Paperbark Flycatcher, Olive-backed Oriole, Grey Shrike-thrush, Grey-crowned Babbler, Great Bowerbird and we accidentally flushed six Brown Quail! There was a pair of Azure Kingfisher fishing from the shade of the paperbark along the riverbank and the ever noisy Blue-winged Kookaburra. The absolute highlight for us in the trees on the riverbank was a pair of Buff-sided Robins, which added to our year list nicely! They have been split from the White-browed Robin in recent years, but they have not lost their “white brows”!! I have failed to mention the really large birds in the area, but Brolga and Australian Pelicans flew over the area while we were there. There was evidence of Bush Stone-curlew in the morning in the form of footprints and we had heard their wailing overnight. 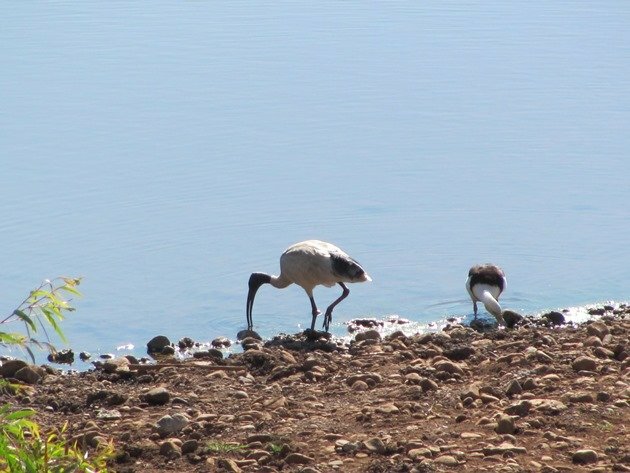 A pair of Australian Bustards boldly wandered down the causeway and down to the water first thing in the morning and after a substantial drink they too wandered back into the bush to seek shade for the day. This should give you all some of an insight as to what you can expect around the Negri River should you ever venture along the Duncan Road in the winter months! 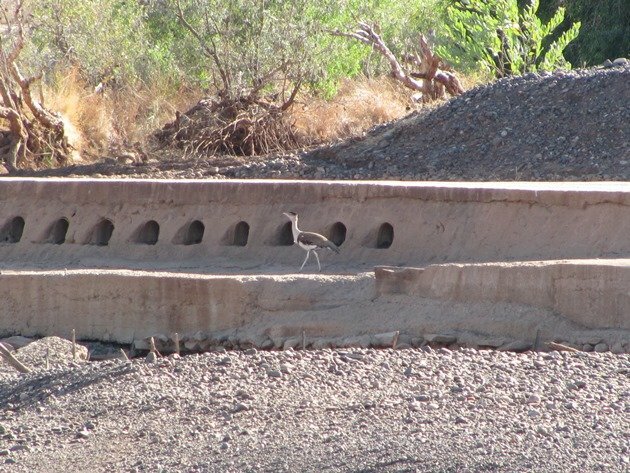 For the summer months the road would be mostly inaccessible with flooding rains and the bird-life would all disperse. What exciting birding! I love the idea of being able to venture to such wild, remote areas with a vehicle. Thanks, Pat. It really is something special about this part of Australia and water attracts so much variety in a dry environment. Love rivers (especially those that can be explored by canoe), swamps and wetlands in general, those are really special paces for me. And, as a rule of a thumb, for birds too. Also, having seen the Kori Bustard of Africa, Great Bustard of Eurasia and the Great Indian Bustard, the Australian Bustard seem like a logical next step.